Comprised of elegant natural and cultural blandishment, Nepal has been able to come one of the most admired touristic destinations around the world. The profound valleys, sky soaring Himalayas and cultural delights of Nepal has been able to captivate hundreds of voyages around the world. However, rushing towards the major trekking destinations voyagers often miss out the unblemished sheer regions of Nepal enriched with abundant natural and cultural allurements. Situated at Ramechhap, Numbur Cheese Circuit is a recently introduced trekking trail in Nepal which bestows stunning views of Himalayan ranges such as Annapurna South, Langtang, Gaurishankar and Numburchuili. The trek encompasses you through deep gorges, lush rhododendron forest, Sherpa settlements, frigid lakes, visit Thodung Monastery and visit first cheese factories of Nepal. Similarly, the trek to Panch Pokhari bestows you with the chance to explore the five glacial lakes that holds a great significance in Hindu religion. Situated at an altitude of 4,100m, Panch Pokhari lies in Sindhupalchowk district of Nepal and is the major highlight of Langtang National park. The trek offers the amazing views of mountain ranges, springs, and exploration of ancient caves. Pikey Peak and Dudhkunda trek takes you through the immaculate vicinity of Khumbu region. 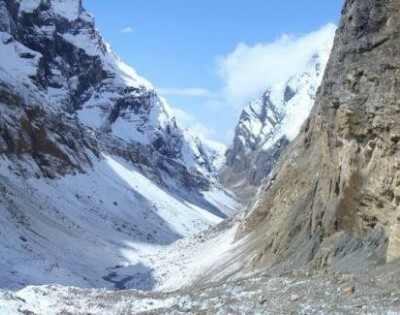 This trek bestows you with majestic mountain views including Mt. Everest, exploration of medieval monasteries and stupas, visit the sacred lake; Dudhkunda and witness the traditional lifestyle of native inhabitants. Pikey Peak and Dudhkunda trek is both naturally and culturally delightful. Likewise, Ganesh Himal trek is the most isolated trekking vicinity of Nepal. This region overtures the unblemished natural beauty, majestic views of iconic Ganesh Himal, Langtang, Annapurna, and other peaks. During the trek to Ganesh Himal, we also get to witness the traditional lifestyle of the native inhabitants. Situated to the northwest of Kathmandu in Karnali, Rara Lake trek surround you to the most unspoiled vicinity of Nepal. Amid your trek, you can relish the absolute scenery, views of snow-capped the Himalayas, experience ancient culture and tradition, and explore the queens of Lake; Rara Lake and Rara National Park enjoying the extreme wilderness. Rolwaling Tashi Lapcha Trek bestows you with an opportunity to explore the allurement of both Rolwaling valley and Khumbu region. Offering the stunning views of the Himalayas along with off the beaten trails and crossing of Tashi Lapcha Pass (5755m), it is an ideal trekking destination for adrenaline rushers.